If you are someone who use multiple monitors at a time, you would have already found that there are no extended options for controlling the monitor setup. 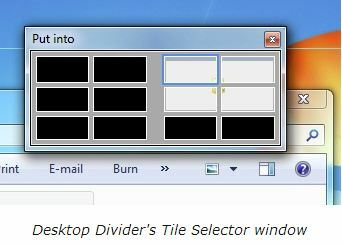 Be it applying a different wallpaper on each of the monitor, wrapping mouse cursor, changing applications between monitors, launching applications on a specified monitor or more – each time you might want to switch between primary monitors, open the Personalization dialog box and go to the Adjust Resolution option to make the selected monitor as your primary display. Tough isn’t? There is a simple solution for this. The Actual Multiple Monitors will actually allow you to do all of the above mentioned tasks seamlessly. With no further delay, let us have a quick glimpse on the features of this app. Actual Multiple Monitor is a software that can help you to improve user experience while working with multiple displays. The program seem to have developed over period of time after understanding the everyday need of users, their usability and what the look and feel they might need while using multiple monitors. Once the application is installed, you can use it to control your dual monitor setup quite easily. For instance, you can have a full-featured windows 7 taskbar on each monitor; including the functionalities of pinning, own start button, system tray, toolbars etc…You can also control what your mouse actions do and it can be easily moved to the other monitor. The features of the application doesn’t stop there, it lets you to set multiple monitor wallpapers; which includes setting individual picture on each monitor, individual slideshow on each monitor or stretch one picture over the entire desktop. 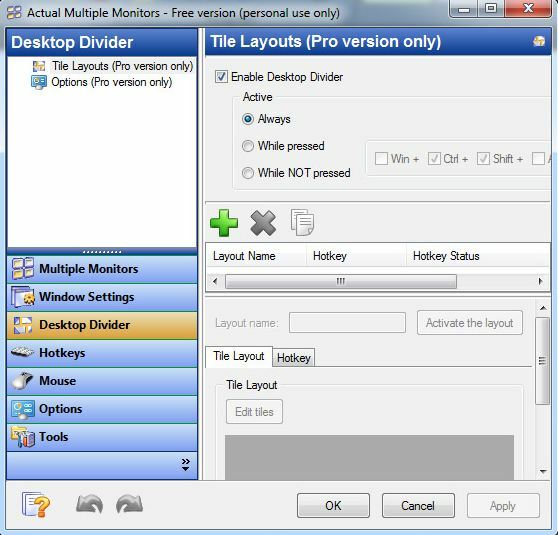 You can also set multi-monitor screen savers, custom hot-keys, divide desktops or each monitor into tiles, mirror a part of desktop or another monitor using special mirroring function, assign monitors to specific application windows and snap windows quicker & faster. Actual Multiple Monitors works on both 32-bit and 64-bit versions of Windows XP, Windows Vista, Windows 7 and Windows 8. You can try the application for free, but if you are a heavy user of multiple monitors, then think of switching to pro version which includes more advanced features. Download Actual Multiple Monitors. Image credits : Actual Multiple Monitors.